BARE "BARE-LY LEGAL": A meditative and intoxicating blend that evokes the inspiring ambiance of a garden full of white tuberose blossoms, Lilac, Gardenia and rare blossoms from all over the world. Lose track of time as layers of exotic sensual blossoms transport you to a haven of thoughtful tranquility. BARE "DARE TO BE BARE" Perfume has all the qualities of a typical feminine fragrance - flowers (tuberose, ylang, jasmine, Lilac, gardenia, bergamot and orange blossom) and fruit (coconut, melon). What makes BARE "DARE TO BE BARE" Perfume great on a woman is is how unpredictable it is. All of the notes are turned up to full blast in a rich, creamy and over-the-top fashion. Tuberose is the main star of the show, backed by the fruity notes of ylang, and the dirty, indolic qualities of jasmine and orange blossom. BARE: Tuberose’s kaleidoscope effect is unique. Its complex floral-heady-jasmine-orange- fruity-lactonic-honeyed-indole aroma makes it a particularly precious, unforgettable ingredient whose singular personality will attract attention in any olfactory composition. Bare is a trendy, urban fragrance with some noticeable citrus top notes. This fragrance is classified as a fresh scent with sparkling notes that refresh, and really put a smile on your face. The fragrance sparkles with its citrus, spicy and woody scent possessing a blend of cedar wood, musk, jasmine, and other spices. It is captivating, powerful and elegant. 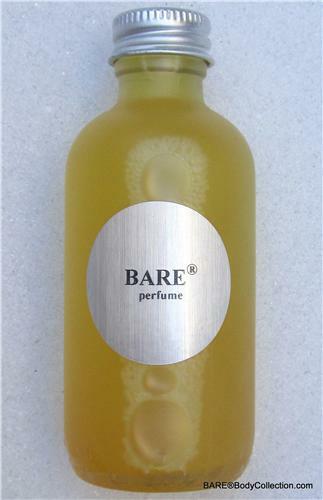 BARE "HEAT" (unisex): Resplendent with tuberose, sweet honey and ylang. The other cooler, less "loud" flowers round the bouquet so you can smell more than the honeyed sweetness and "rubber" note in the tuberose. The final drydown is heavy with woods, musks and dry earthy patchouli, oakmoss and vetiver. This scent, even though it is a modern reformulation, is divine. BARE "DARE TO BE BARE": Explores the sensuality of tuberose rendering white blossoms both as bathed in the sunlight and touched by the evening shadows. In the Victorian language of flowers, tuberose signified dangerous pleasures, while in India young girls were warned against inhaling its aphrodisiac scent after dark, lest it lead them into trouble. BARE "DARE TO BE BARE" Perfume parfum has all the qualities of a typical feminine fragrance - flowers (tuberose, ylang, jasmine, Lilac, gardenia, bergamot and orange blossom) and fruit (coconut, melon). What makes BARE "DARE TO BE BARE" Perfume parfum great on a woman is is how unpredictable it is. All of the notes are turned up to full blast in a rich, creamy and over-the-top fashion. Tuberose is the main star of the show, BACKed by the fruity notes of ylang, and the dirty, indolic qualities of jasmine and orange blossom. Together they make a loud, brash scent. BARE "ECSTASY" (unisex) (unisex - Men and Women):: A sharp, oriental, woody fragrance- this feminine scent possesses a blend of cedar wood, musk, jasmine, and other spices, and tuberose. All of the notes are turned up to full blast in a rich, creamy and over-the-top fashion. BARE "BRILLIANCE" (unisex) (unisex - Men and Women): The fragrance those who dare to be different in a vital over-the-top fashion. BARE "BRILLIANCE" (unisex) blends the sensuality of blood orange and bergamot, with top notes of sandalwood, lavender and ginger. Sandalwood and lavender are the main attractions, BACKed by the crisp notes of ivy and eucalyptus paired with musk and black coconut.